Mama to 4 Blessings, Chubby Cheeks Thinks and Rats and More along with several other wonderful bloggers are teaming up to bring you The Spring Gift Card Event! For the Spring season we will be offering a new gift certificate giveaway each month of Spring! 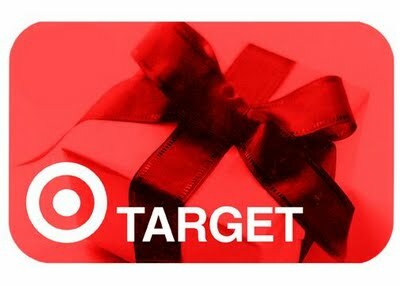 For March we are offering a $100.00 Target Gift Card! I am so happy this event is here, and I can't wait until next month's event. Good Luck to everyone :)! Once we have more details on next month's event, I will be sure to post to let everyone know, so you can mark your calendars! Disclosure: Giveaway prize is being provided by Mama to 4 Blessings. No companies are involved. Facebook is in no way, associated with this giveaway. This giveaway will end on March 19th, 2012. Thanks for the right on Target giveaway for Soring!